My son has been working through a social dilemma at school. Some friends have been teasing another boy in the class – a kind boy, but one who is overweight and a little socially awkward. My son has struggled – he feels pressure to say something and get a laugh from his friends, but is aware of the hurt it would cause this boy. This is a story I know – I have lived this story! I’ve played the role of each character in it. I’ve been with the group of kids enacting their dominance over the loner. I’ve been the one to utter the terribly unkind words, left to wonder why the guilt seems to outweigh the pleasure you get from creating some laughter at a lunch table. And, I’ve been that loner. I’ve been teased, left out, called names. It is that last role I remember most deeply, which influenced the discussions with my son this week. I wish I could say that he stuck up for this boy; then all the kids apologized, they were all best friends and played happily together. The end! But those of you who have lived this story know it is not that simple. Our culture values a certain type of physical appearance. And whether we are aware of it or not, it plays a huge role in how we behave towards others. This societal norm is difficult to stand up against. My son and I had good discussions; he understands that we look at the inside, that everyone is special. He knows, but it is still difficult to put yourself out there and stand up for another person. This is something we all continue to learn to do. This was Week 1 for my new online course on the New Testament letters, and we started with an introduction to Paul. Writings have described Paul as a short, bow-legged, bald-headed man with a large, hooked nose, bad eyesight and a unibrow. Even Martin Luther in the 1500’s declared that Paul was a “pathetic, ugly, and scruffy little man.” So harsh! I learned there is evidence that people have linked physical appearance with a person’s inner character for centuries. (I also learned a new fancy word: physiognomy. I will likely never use this word again…) If these early writings are true about Paul’s physical appearance, he likely had extra challenges; perhaps some teasing at the lunch table. No matter the obstacles, Paul did not allow his physical appearance to get in the way of his ability to offer spiritual guidance, leadership and wisdom. And, thankfully, the people to whom he preached didn’t either. Paul was – and continues to be – one of the most influential leaders of the Christian church. 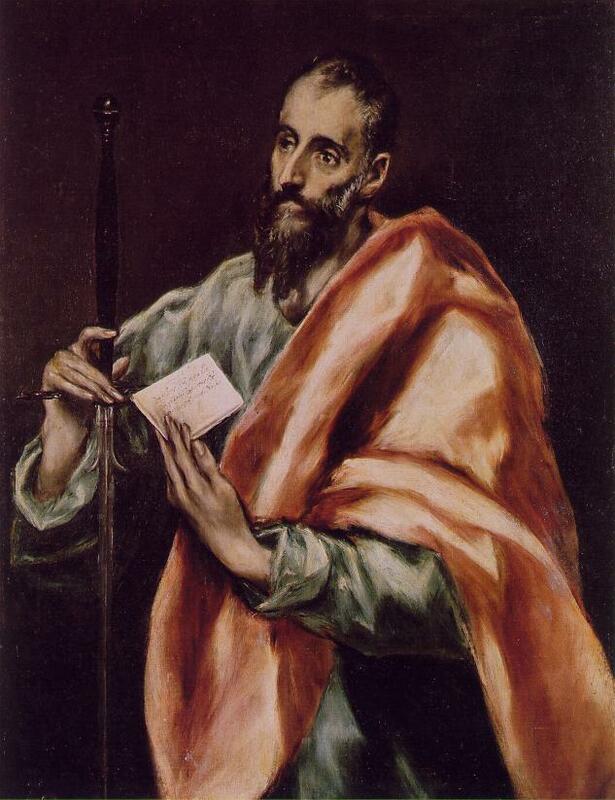 Paul was energetic, zealous and filled with passion for the teaching of Jesus and his ministry to others. This zeal can come with any age and appearance! Think of what the church would have missed if it discounted Paul’s message because they were distracted by his unibrow! When we expect something good to come only from people with a certain appearance (or certain age, gender, ethnicity, cultural background, etc. ), we will miss out on whatever that unique individual has to offer. With the ability today for social media to blast images of people, and “ugly and scruffy” is not well received, it is even more difficult to set aside physical appearance and love another for who they truly are. Regardless of what our culture tries to tell us, I stay hopeful that deep down we know appearance is not what truly defines us. This is especially poignant as we begin Lent, and receive the sign of the cross on our forehead. Through this cross, we are reminded of our own relationship with God. We reflect on the shortness of life, our need to repent, confess, and return to God. But as we see the same mark on our friends and strangers around the world, we remember the unity we experience as a part of God’s Creation! We are all dust, and to dust we all shall return! We are called and chosen, no matter our appearance and no matter what role we play at a lunch table in the 3rd grade. Categories: Ministry | Tags: appearance, Ash Wednesday, bully, creation, friends, God, school, teasing | Permalink.